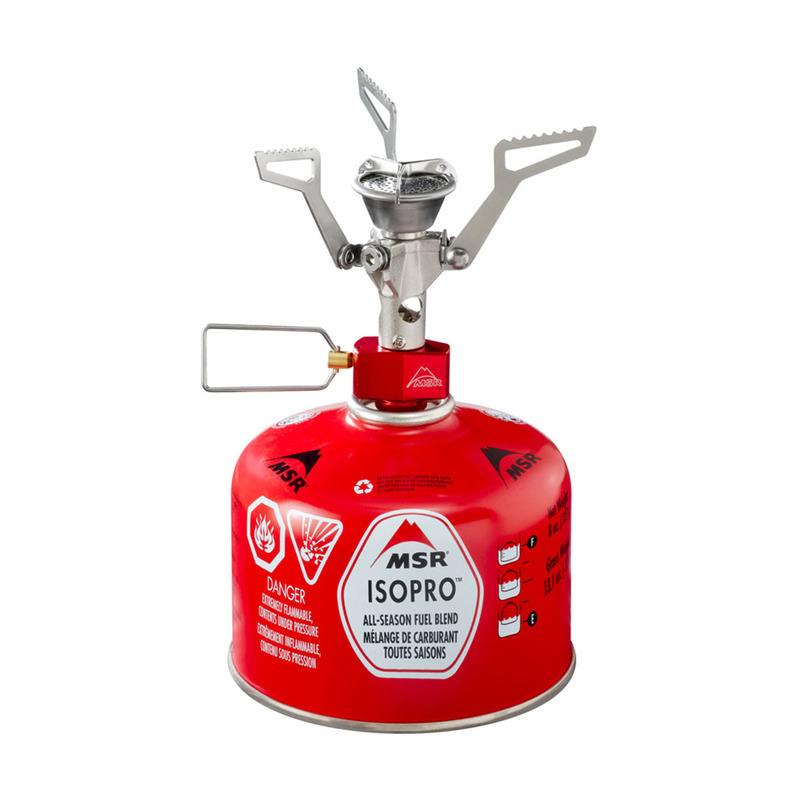 The MSR PocketRocket 2 Stove may be small, but it boils one litre of water in just 3.5 minutes. Weighing just 75 g, it will suit any minimalist camper or hiker who wants to save as much space and weight as possible. Features include precision flame control and MSR's WindClip windshield which blocks out wind to improve efficiency. A perfect companion to the Titan Kettle to create a one-person fast and light kit. • Fast-Boiling: PocketRocket 2 stove boils 1 litre of water in just 3.5 minutes. • Compact: Folding pot supports pack exceptionally small, fitting into an MSR Titan or Insulated Mug. • Strong: Robust pot supports offer excellent stability. • Wind-Resistant: WindClip™ wind protection and focused burner pushes a persistent, solid flame. • Includes: Ultralight, hard-shell carry case.